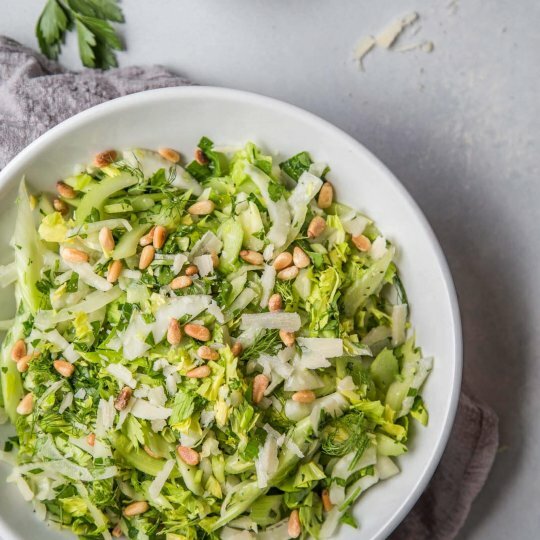 This Shaved Fennel and Celery Salad comes together quickly and has such a delicious light lemon vinaigrette and wonderful crunch. It’s the perfect side salad for rich and hearty dishes like pasta or braised short ribs. 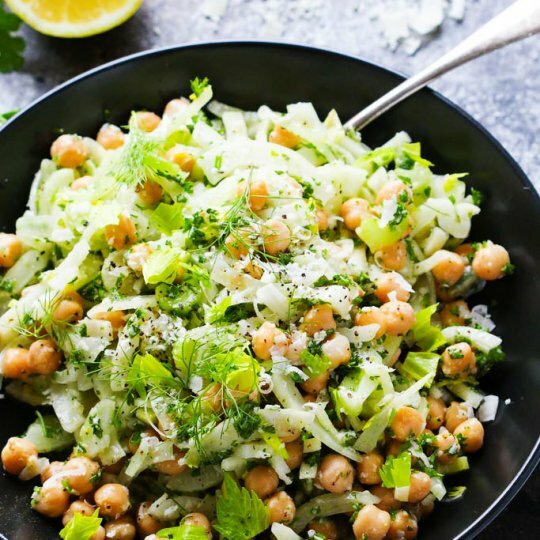 This Fennel and Chickpea Salad is tossed in a light citrus vinaigrette & topped with parmesan. It’s the perfect make-ahead salad for potlucks or lunches.